After my lengthy reviews of the Voltaic Fuse 4 Watt, 6 Watt and 18 Watt Solar Chargers, I was sent a Cheotech 19 watt low-budget solar panel and asked to review it here on BicycleTouringPro.com. Because solar power is one of my personal interests, and because I’ve had such great success with solar power on my recent bike tours in Europe, Asia and Africa, I decided to put this low-budget solar option to the test. The Cheotech 19 watt low-budget solar panel comes in a thin, lightweight cardboard box and is very, very basic. The box contained the solar panels, a USB charging cable and nothing else. No instructions. No battery (like you get with the solar panels from Voltaic and Goal Zero). No indication of how to make the solar panels work, etc. While it might seem obvious to some, a solar charger like this is not as straightforward as you might think. Read some of the 1-star reviews on Amazon and you’ll quickly see that there are a lot of people out there who don’t understand that you can’t just plug your smartphone or tablet into this solar panel and instantly start recharging your device. Most solar chargers do not function this way! If you want this (or most other solar chargers to work), you need to use your solar panels to first charge an external battery. This process, even in direct sunlight, does not happen quickly. It can take several hours to several days for even a small battery to recharge using the the power of the sun. The amount of sunlight and the angle of the panel will ultimately determine how long it takes for your battery to be charged. If you’ve been paying attention, you know that the Cheotech 19 watt low-budget solar panel doesn’t actually come with an included battery. This is probably why so many people just plug their smartphone or tablet into one of the two USB ports on the back of the Choetech solar charger and are baffled when the thing doesn’t work. In order to make the Cheotech 19 watt low-budget solar panel function, you need to also purchase a compatible external USB battery. I just happened to have a few spare batteries lying around (from the Voltaic solar chargers I’ve reviewed here on the website previously), so I was able to connect one of my Voltaic batteries to the Cheotech 19 watt solar panel and presto! – I got the thing working in no time. Just like with my more expensive Voltaic solar chargers, the Cheotech 19 watt low-budget solar panel sent a steady current to my external battery when it was pointed into the sun, and I was able to fully charge my small battery after about 7-8 hours. Once my battery was fully charged, I was then able to use that stored up energy to recharge my smartphone, GoPro video camera, bike lights and other small USB devices. So, yes, the Cheotech 19 watt low-budget solar panel does indeed work. And while you will save money on the cost of these low-budget panels, you are going to have to spend more money on the battery itself – so keep that in mind! And yes, you do need an external battery. While a few electronic devices can be charged by plugging them directly into one of the two USB out ports on the back of the Cheotech 19 watt low-budget solar panel, most electronics can and should not be charged in this way. While I’d like to give this lightweight solar charger a higher rating, I have to give the Cheotech 19 watt low-budget solar panel a rating of 4 out of 5 stars. It is what it is – a low-budget solar panel (that does not included the necessary external battery). I like the Cheotech solar charger because it’s small, relatively lightweight, folds up to a compact size (which is great for hiking, biking, etc), and comes with two built-in USB out ports. But I’ve knocked some points off for the lack of directions included with the product and because I don’t believe the panels are actually producing anywhere near 19 Watts of total power. I don’t know how to text that claim exactly, but when compared to the 20 Watt solar charger I have from Voltaic, this Cheotech knock-off doesn’t perform nearly as well. To learn more about the Cheotech 19 watt low-budget solar panel, head on over to Amazon.com and pick one up for only $49.99 USD. 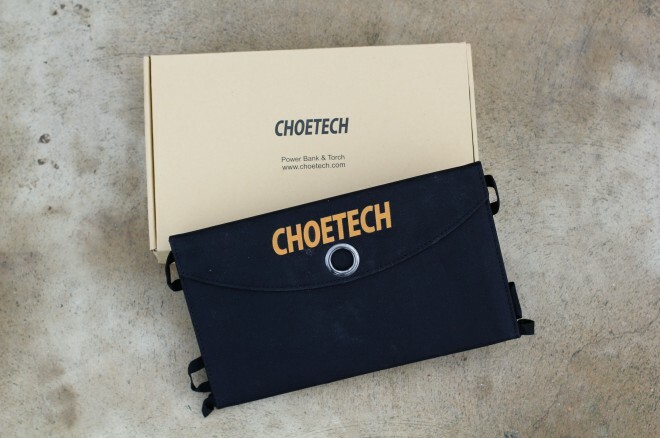 If you’re looking for something even a tiny bit smaller/lighter, consider the 12 Watt panel by Choetech as well. 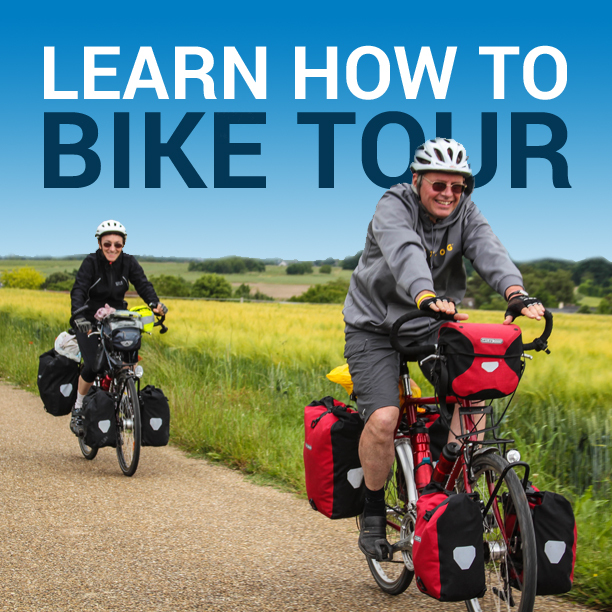 This entry was posted in Bicycle Touring Pro Articles, Electronics, Product & Service Reviews, Products. Bookmark the permalink.